Welcome, and thanks for stopping by. Here at Uniting Grace we will exchange thoughts about following Jesus and being the church, all of what is made possible by the grace of God. Child of God. Husband to a wonderful wife. Jesus-follower. Pastor to a great church. Dog lover. MMA fan. Student. Teacher. Bibliophile. A guy spoiled rotten by grace. Feel free to look me up on Facebook and Twitter. I am also a contributor to an exciting new project called Via Media Methodists, and my work has been featured at United Methodist Insight and Seedbed. 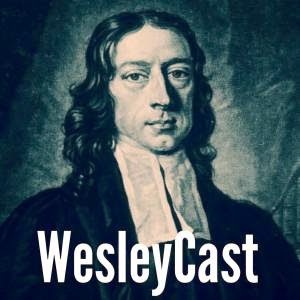 If you love podcasts, check us out at the WesleyCast for commentary on Christian living, ministry, book reviews, and giveaways! If you’d like to read something of mine more on the academic spectrum, I offered a paper as part of the UMC’s reflection on “online” communion. The views on this blog are mine, solely mine, and only mine, and do not represent the views of my wonderful congregation or the United Methodist Church. Thanks for stopping by, and may God grant us all amazing, free, uniting grace. Have no fear Mack. The Church is still here. In my anguish I went ‘hunting” to find the Church: I asked two questions: 1. What is the Church? and 2. Where is the Church? Where are you in NC? I’m just outside the triangle area and would love to chat in person if it were practical. I’m glad to have found your blog and I look forward to interacting with you in the future. Thanks for your suggestions on my list of “essentials” for Christian theology. I like your blog… and the cloister walk picture at the top especially. Cool. Grace and peace to you. Keep writing. Thanks. Enjoy your posts as well. The picture is from Iona in Scotland, one of the most beautiful places I’ve ever been (physically and spiritually). Blessings in your work. Thanks for visiting my blog. I am also a traveler out of fundamentalism and into the mainline. It gives us an interesting perspective on both, I think. I almost wish we could have an exchange program. For one year everybody has to switch and attend to the other. Ha – I had the double trip – from fundamentalist to liberal, from liberal to postliberal. It’s been quite a ride. The exchange program is not a bad idea, though I fear it might lead to many fights! Of course, the history of the Southern Baptist Convention teaches us what fundamentalists do with moderates and liberals – they kick them out! I’m very sympathetic to the designation ‘post-liberal’. Sympathetic enough to think fundamentalism is solidly within liberalism. I like being in the so-called liberal church. But I often find myself defending my fundie brothers. When I was still in a conservative evangelical church, I did the same for my ‘liberal’ brothers. Helloooooo… Anybody home? Hellooooooo…. Used to be a guy named Mack here who wrote some interesting stuff. Sigh. Oh well. Chris, it’s lovely to be missed! I just made it through my first Easter and I feel like I’m still catching my breath. Posted something for you to sink your teeth into, though. Hope all is well your way. I just wandered over to your blog to see what you are all about. I look forward to our exchanges. How would you define the “church”? I meant to say how would you define the “church militant”? Interesting use of the word militant. I can understand the context now, but it makes me uncomfortable. Also a methodist pastor – have moved from liberal theology, to liberation theology (helped edit the late Frederick Herzog’s papers), to conservative theology. ended up for about 2 yrs in the past 5 years at position of near atheism, and now am working my way back. working on a series of devotions for doubters. anyway – i do substance abuse and crisis counseling now. Thanks for dropping in. Is liberation theology that much of a leap from liberal theology? Methinks they are kissing cousins at least. Herzog was solid though; I remember seeing his photo in the office of Methodist Bishop of Peru. Blessings on working your way back. At the end of the day, we’re all strays to one extent or the other. On the right hand side, there is a place where you can put your email in and subscribe, I believe. Thank you for your work counseling, it is greatly needed. You just popped up on a google search I did. I’ve enjoyed romping around your blog as a result. Nice job! Keep the (christological) faith! Thanks for stopping by. As a founding member of the Roman Campbells, it’s great to hear from you. Hope all is well with you and yours. 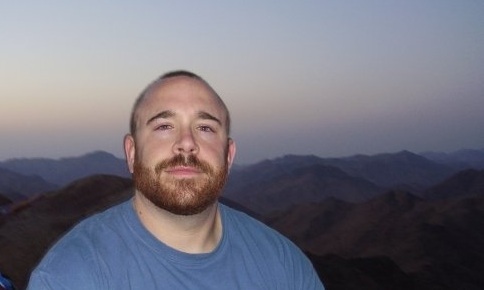 Thanks for visiting Secular Chaplain, Drew. Just goes to show believers and nons can associate now and then! And I might gently (and amusingly) ask whether that Wesley hymn is about “Wordy” or “Worldly” strife? As a graduate of a Methodist school (and a very worldly human being) that gives me a smile!